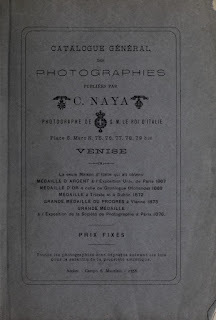 Catalogue général des photographies by Naya, Carlo. The Alethoscope is an optical instrument by means of which ail kinds of photographs can be seen in rilievo presenting a splendid perspective nearly as large as nature. 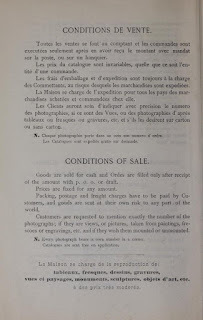 This effcct may be obtained eitlier by réfaction or by transparency and can be seen by daylight as well as by lamp liglit or otlier artificial light. When used by daylight tlie instrument should be placed upon a table in front a window. 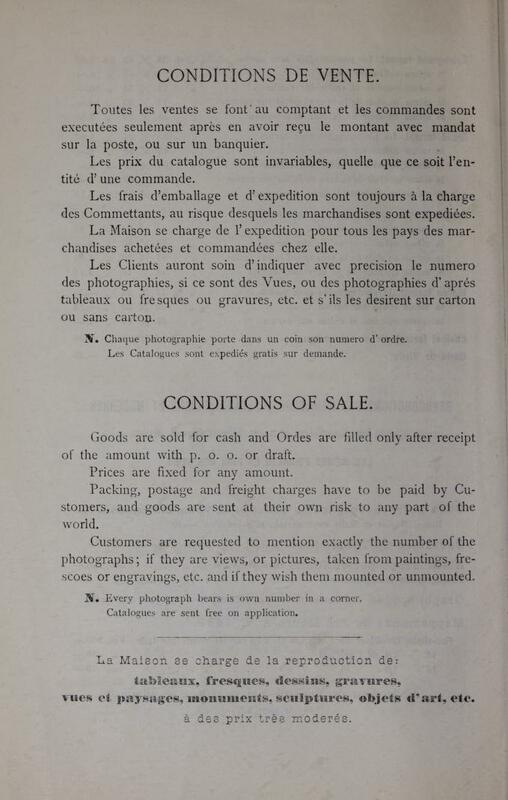 After the photograph lias been introduced through the aperture G. (figure N. 1) the two reflectors E. F. must be open so as to throw a powerful light on the photograph, which is seen by réfaction. To observe it by transparency the two reflectors must be closed and the door L. open so as to throw day light through the photograph. When the Alethoscope is used by night a lamp should be placed at the aperture of reflector F. so as to allow the photograph to be seen by reflection. To obtain the effect of transparency, the reflectors must be closed, the door L. opened and the lamp placed in front of it. 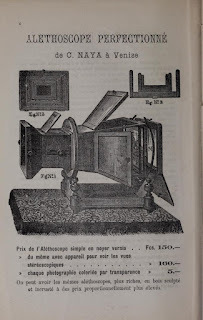 The Megalethoscope is an optical device invented by Carlo Ponti, a Swiss-born optician and photographer who studied photography for eight years in Paris before settling in Venice in 1854. 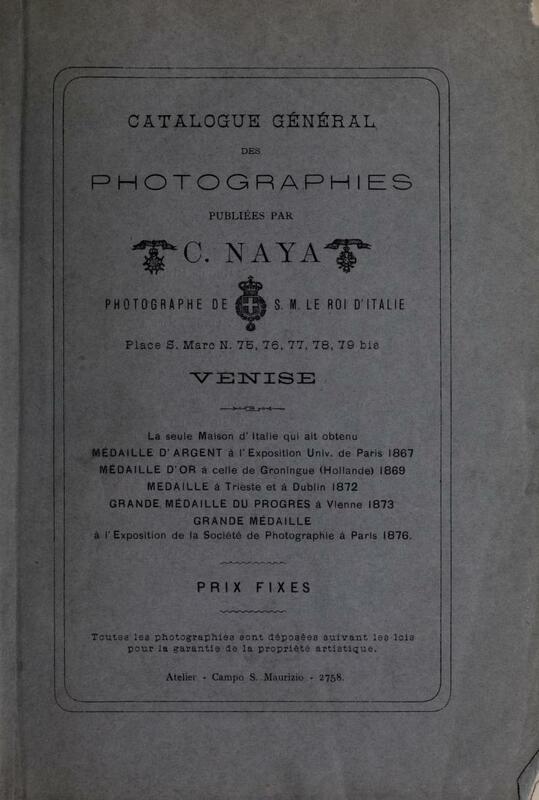 Ponti first created a device called an Alethoscope in 1860, for the viewing of prints and photographs. The Alethoscope was used to view photographs that were specially prepared and mounted on a curved wooden frame, and showed day-and-night effects by viewing with either reflected or transmitted light.